The new year is here. Now is the time for both looking forward and looking back. What was accomplished this year and what can we strive for in the next? I wasn’t particularly fond of 2014, though it held lots of wonderful adventures. I aimed to write more, which I succeeded at on some level. I finished a new feature script and made progress on another, which I feel pretty good about. On the other hand, this writing is hiding away on my computer, rather than out in the world, so it sometimes feels like it hasn’t happened. Though there were a few posts here I was proud of this year, I’ve neglected this blog I am not sure I will continue to keep it. I may find another avenue to share photos and words. Another goal was to do more camping and exploring and we did much more than I ever expected. Shawn and I visited Joshua Tree, Yosemite (in winter, spring, summer and winter again) and Pinnacles. We went backpacking in Kings Canyon, in Big Sur and the Fish Canyon Narrows. We took a trip to Oregon and Washington, visiting Mount Hood, Mount Rainier and Olympic National Park. We hiked to the top of Mt. Baldy and I took my first cross country ski lesson, two things I could not have imagined myself doing even just a year ago. 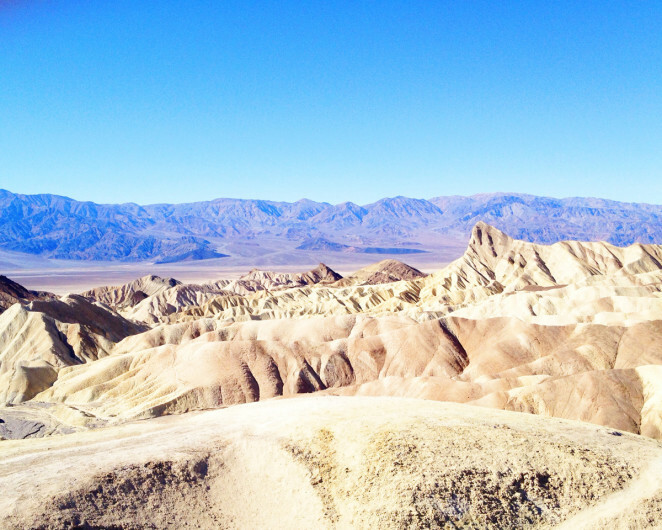 There were also several trips I haven’t even blogged about, including Death Valley, Sequoia, Point Reyes and the Salton Sea. Clearly Shawn and I had a bit of wanderlust this year, which was both exciting and refreshing. It did make me feel less productive though than I normally am. I watched significantly fewer movies this year than previous years, which in some way was a relief. I did on the other hand read more books, a trend I’d like to continue in this new year. So what are my goals for 2015? It’s best to write them down, lest I forget, which I inevitably will. I want to make more meaningful connections with friends, more time spent in the real world than online, which includes making an effort to meet people in far away places that I consider dear to me. I want to put myself out there more as a filmmaker. It’s much easier for me to be reclusive about such things, but what I really want is to be out there making stuff. That means working on other people’s films (especially lady filmmakers) and sharing more of what I’m doing. I also want to allow myself time for hobbies. The thing I missed the most this year was small creative projects, which really fell by the wayside. I already have a sweater in mind to knit and some quilt ideas on the horizon. I’m looking forward to all the things a new year can bring. Happy New Year! May all your dreams be within your grasp. I feel like I am in the same boat of writing last year – I got a feature finished, but it’s sitting on my computer. Let’s kill it this year.